SEED CO International Limited is expected to list on the local bourse and Botswana Stock Exchange (BSE) soon as the company partially unbundles to help fund its regional operations, NewsDay has learnt. Local Seed Co boss Morgan Nzwere confirmed the development at the company’s annual general meeting in Harare yesterday. “The listing on the Zimbabwe Stock Exchange (ZSE) and the Botswana Stock Exchange will be happening in about 30 days, to allow for all the due processes to be done. Remember, we had to get shareholder approval first and now we start with all the other consequent processes that need to be done but we expect within a 30-day period both the listings will be done,” Nzwere said. Once the listing is made on the BSE, foreign shareholders of Seed Co Limited will be able to register on the BSE stock exchange to trade shares of the Seed Co International Limited immediately. The idea behind listing on the BSE is “to provide a direct investment hedge for the group’s shareholders, including Zimbabwean investors who include multitudes of pensioners, through the permissible fungibility of Seed Co International shares between the BSE and ZSE”. What this means is once the listing has been made, shareholders will easily be able to move their shares between the BSE and ZSE as both exchanges will list Seed Co International shares. The idea of listing the primary unbundled shares of Seed Co International, the body responsible for Seed Co Limited’s operations regionally, is to provide a vehicle for future offshore fund raising. “We will now be able to do a lot of things that we were not able to do in the region because of funding, because obviously if we raise the funds here in Zimbabwe, with the United States dollar shortages, it will be a challenge to get the funds out…but, going forward because we will be able to raise these funds in Botswana, we will now be able to do the various projects that are listed in the prospectus,” Nzwere said. 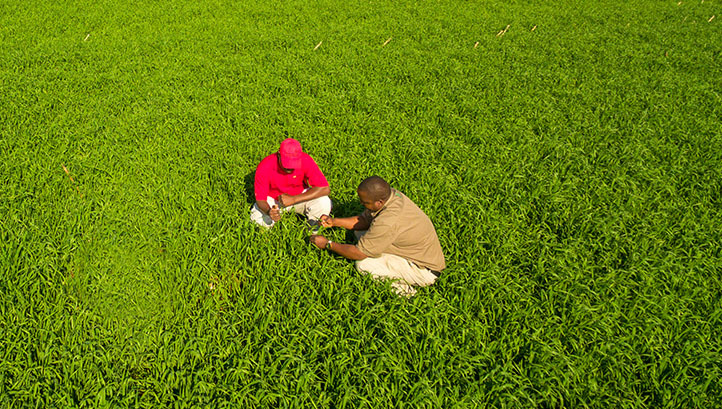 Seed Co International already has a track record in Botswana and has established funding networks in Botswana dating back to 2000 when it was first incorporated. In a circular published last month, Seed Co Limited announced it would do a dividend-in-specie distribution of 71% shares in Seed Co International consisting of 241 313 440 ordinary shares and separately list on the BSE. Meanwhile, in a trading update from March, global winter cereal sales of 6 840 tonnes were recorded compared to the 7 053 tonnes achieved in the prior year, a decrease of 3%. “In Zimbabwe, winter cereal volumes at 5 635 tonnes were 10% lower than the 6 217 tonnes achieved in prior year largely owing to the slow dry down on the long season maize varieties planted under the command agriculture programme, which meant land available for winter planting was reduced,” Nzwere said. However, he said the overall gross profit for winter cereals stood at 42% up from 26% achieved in the prior year due to all sales this year being of certified seed, whereas in the prior year, a significant quantity was in-sourced as standard grade seed.